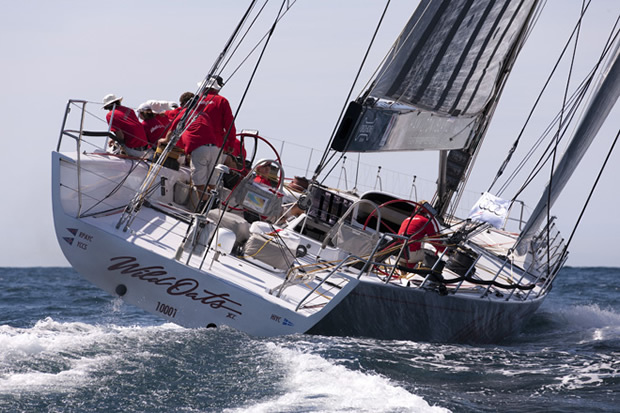 Rambler, the much talked about American 88 foot speedster looked like a probable threat to Wild Oats XI’s authority of the yearly Challenge (she could count eight wins from ten starts, baffled only by her sister ship named Alfa Romeo). At the first windward mark, just a boat-length disjointed these two. But as soon as Australians unrolled their grand Code Zero for downwind run to the Fort Denison, it was as if she had detected an extra pitch. One boat-length quickly became two, then three, and then four as the Wild Oats XI rooted into the race. Finally, three minutes fifty seconds classified the two boats when they passed the end-line off Opera House. Mark Richards, who runs Croatia Yacht Charters and is the captain of the Oats was very happy with their first race of his radically remade maxi.